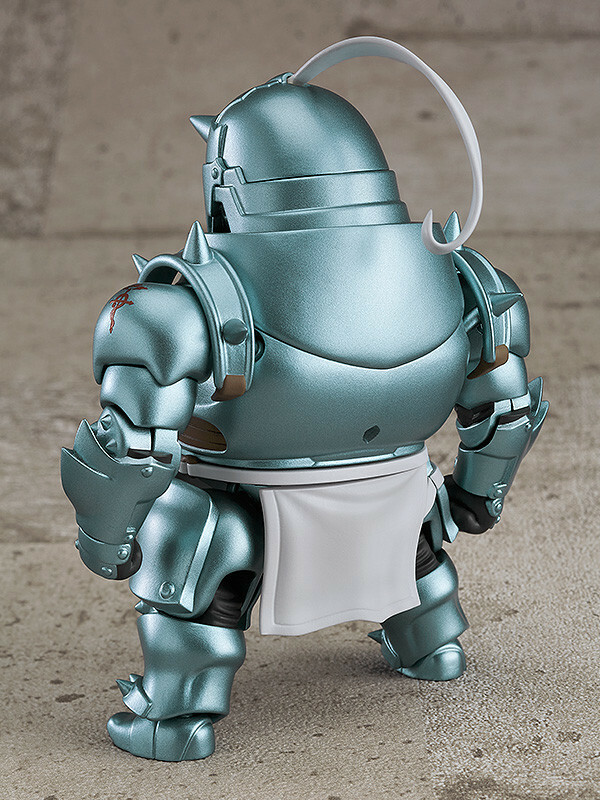 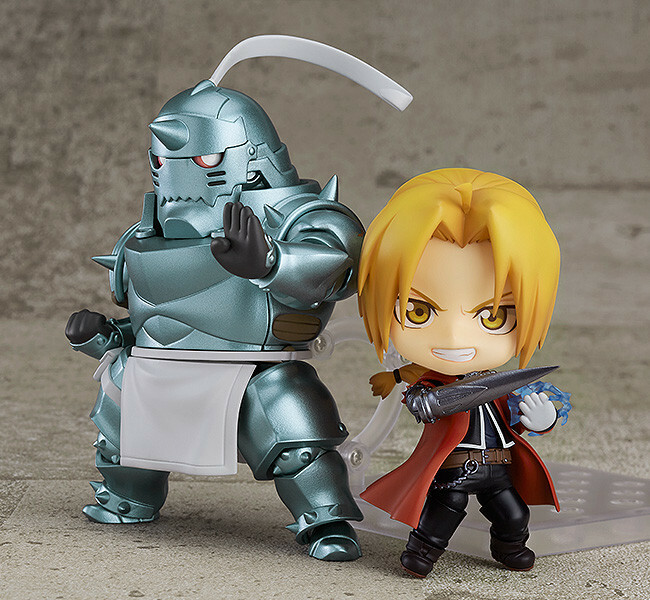 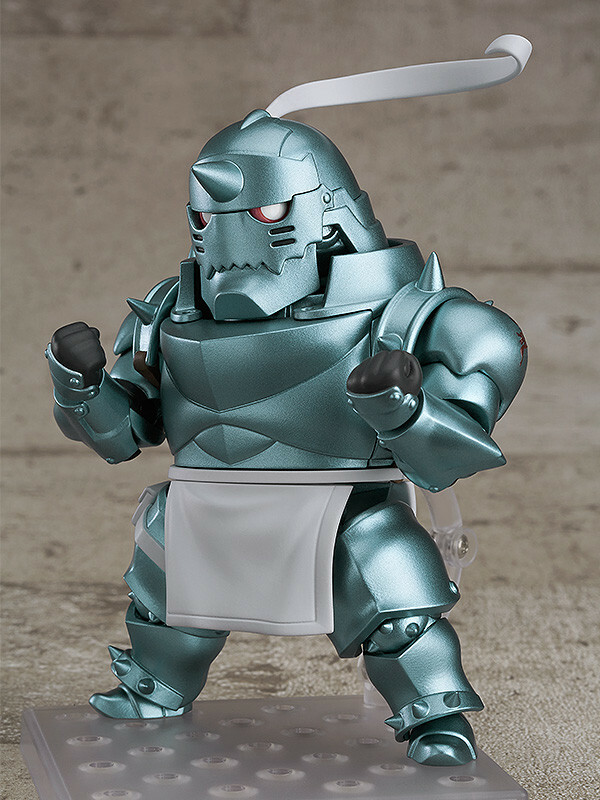 From the popular anime "Fullmetal Alchemist: Brotherhood" comes a Nendoroid of the kind-hearted Alphonse Elric! 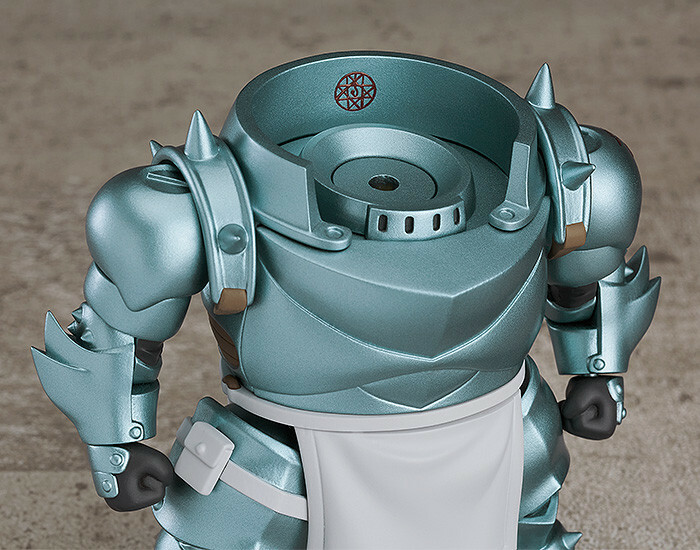 The metallic appearance of the suit of armor that harbours his soul has been carefully sculpted and fitted with joints for all sorts of different display possibilities. 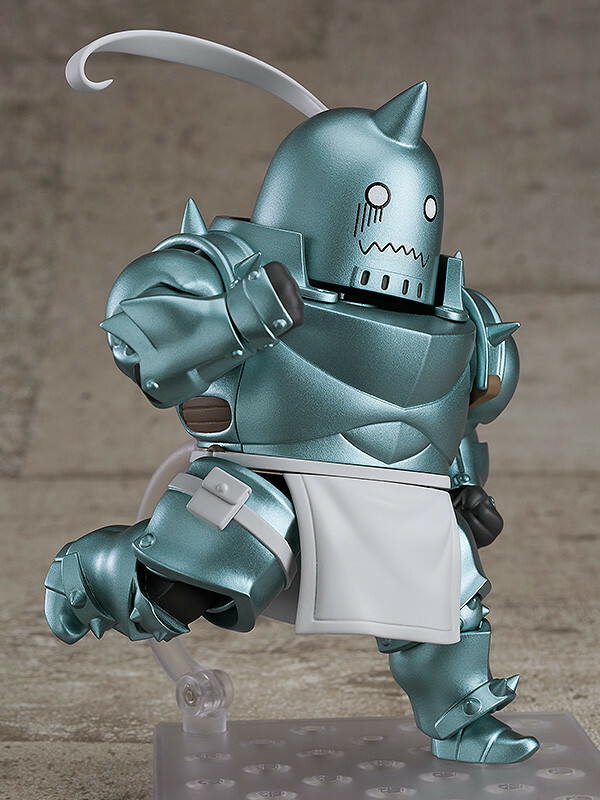 Al comes with three different face plates including a standard face plate with articulated eyes that can look in different directions, as well as both flustered and relaxed chibi-style expressions. 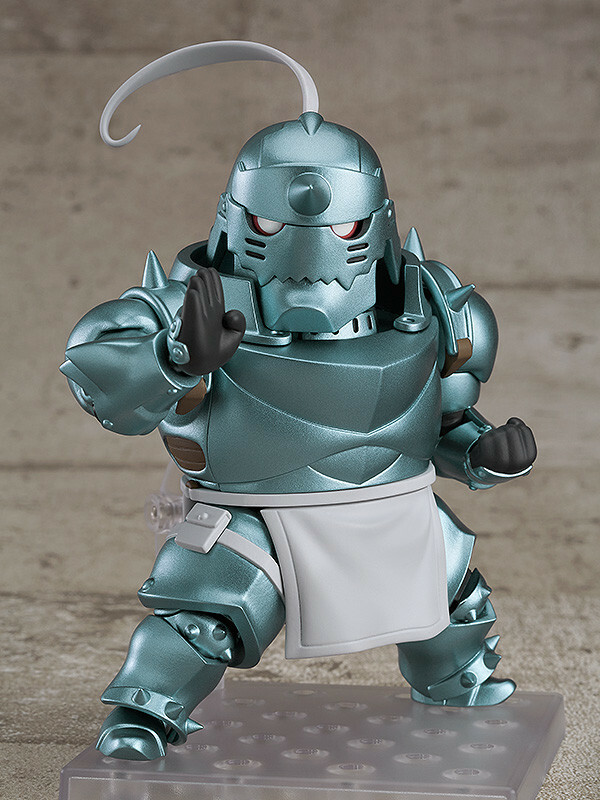 Preorders will be open from 19th July 2017 (Wed) from 12:00JST until 24th August 2017 (Thu) at 12:00JST. 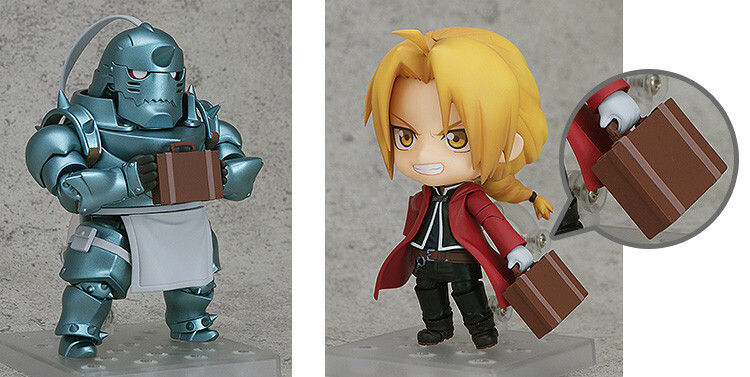 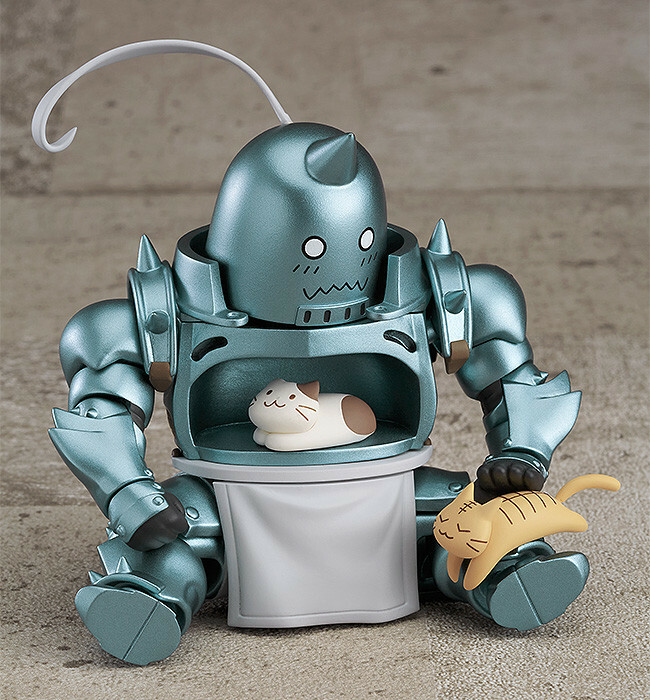 Purchases of Nendoroid Alphonse Elric from the GOODSMILE ONLINE SHOP will include a Suitcase (Including Holding Hand for Edward) as a bonus!